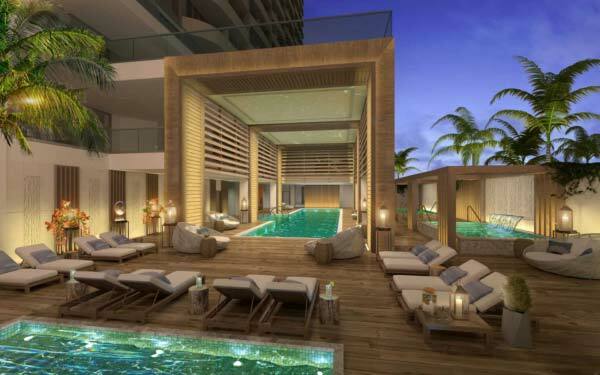 Amrit Ocean Resort and Residences is the antidote to your daily stresses. The focus here is on mindfulness and prevention—rather than invasive medical intervention. 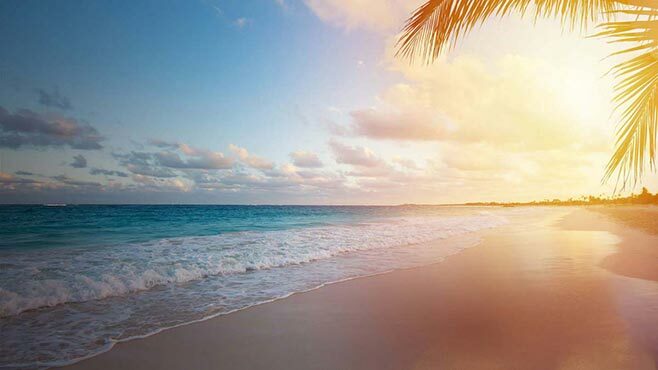 Through a combination of the fresh ocean air, beautiful, natural surroundings and a broad range of bespoke lifestyle treatments and experiences, residents and guests will relish this sanctuary of physical and mental regeneration. In Sanskrit, Aayush translates to ‘longevity,’ and Amrit’s Aayush hydrothermal area lives up to its name. Here, you will find a unique, curated oasis of tranquility with experiences designed to enhance wellness, alleviate discomfort and provide a healthful hydrothermal journey that contributes to one’s longevity. Allow time to prepare your body and relax your mind on this journey designed to activate your metabolism. This is the best way to receive the deep benefits of Amrit Aayush, our exclusive hydrothermal experience. Amrit Aayush offers unique hydrothermal-focused experiences that can be found nowhere else in the world. Inspired by Kneipps therapy and designed exclusively for Amrit, the Hydro-Reflexology Path brings the hydrothermal experience to the sometimes forgotten feet and legs. Enjoy Hydro-Reflexology, as you walk the footpath designed to alternate hot and cold foot sprays that encourage better circulation. At the same time, foot reflex points are activated, creating refreshment for feet and legs and resulting in total body engagement. Complete the experience with a Cold Dip for feet and legs, a toning and exhilarating circulation experience. At your leisure, take a dip in our Replenishment Pools. These pools are sure to ease and relax you, increase your circulation and encourage inner-healing through self-reflexology points. Feel a womb-like embrace as you are submerged in warmth. Then plunge into the other one to cool the senses. Together, the combination makes for a unique experience, encouraging enhanced circulation. Amrit’s pools, including our Lap Pool, are non-chlorinated to optimize this healthy experience by lowering chemical exposure. Our lap pool is ideal for water therapy, hydro classes and for doing traditional laps surrounded by beautiful Florida fauna and foliage. An important aspect of our Aayush hydrothermal journey includes cold therapy, which you can experience in our Arctic Chill. The Arctic Chill was designed to increase circulation and alleviate discomfort, whether from headaches or body aches. Cold-therapy has been shown to decrease inflammation and encourage a refreshing sense of renewal. Chill out in our Arctic Chill with a burst of icy sensations to invigorate your mind, body and senses. Experience a powerful micro-climate that uses the negatively charged ions in salt vapor to improve health and combat mental lethargy. For centuries, naturally-occurring salt caverns have been used by healers and shamans to treat respiratory ailments. Amrit Aayush’s specially designed halotherapy chamber uses the natural power of salt to enhance holistically your energy and the benefits of deep breathing. The Aayush steam and sauna rooms are essential to the hydrothermal wellness journey, providing positive physiological effects and encouraging both physical and mental relaxation. They are specially appointed with a comfortable design that encourages relaxation and allows the beneficial heat to permeate the senses and release impurities. Our Aayush saunas offer the highest level of optimum heat and are made with renewable wood, radiating warmth evenly. Aayush steam rooms have state-of-the-art systems to ensure constant warmth and high humidity for optimal results. Close your eyes and allow the warmth to envelop your senses, ease discomfort and renew one’s self—emerge with a sense of being completely cleansed. Amrit’s professional wellness team will guide you through Aayush to obtain the optimal experience. Enjoy the only extensive hydrothermal journey in Florida and wellness for life with Amrit Aayush. Amrit’s proprietary technology, in the form of an easy-to-use app, contains our Easy Access Stair Guide (EASG) that will alert you to available wellness opportunities throughout the property, perhaps indicating a stairway to take, rather than the elevator. As you near a staircase, it will give you a gentle reminder to take the stairs rather than the elevator. An easy navigation feature within the guide will detect your location (and ask to access your location if not “On”) and while walking, it will guide you with directions via a GPS mode-map that will appear on your screen. The EASG will calculate and record each step for you to review with your Amrit Wellness Coach at a later time. And when you come close to reaching a goal, the EASG will encourage you and celebrate your milestones, literally, with your select happy song or positive phrase! The simple practice of incorporating stairs into your daily routine will burn calories and firm you up quickly. Given there are 12 steps in the average flight of stairs, heading up and then back down would burn approximately 5 calories! Using the stairs for 30 days, with an average of 3 flights you can easily burn almost 500 calories per month. Amrit’s beautifully appointed stairways will have Guide Posts that show how many steps are on each story and how many calories you burned. And our Fact Posts will help you through the day by encouraging you to go farther and reach your milestones and offer suggestions on what fitness classes are coming up and what specials our Organic Cafe is offering nearby. Bespoke in-room service goes above and beyond with Amrit’s Restful Ritual Bath Butler Service. Order from our Restful Ritual Bath Butler Service menu just as you would order a meal via Room Service. Our customized evening ritual service encourages a relaxing and restful night’s sleep, without the calories! View our Restful Ritual Menu online via the Amrit App, Amrit TV or peruse your Amrit Bespoke Room Services Brochure. From lighting to color, aroma to pillows to massage, it is our honor to help you enjoy healthy, quality sleep. Amrit’s Restful Ritual Bath Butler Service, in synergy with your Amrit Wellness Advisor, will identify your optimum sleep time and adjust your room’s circadian lighting to ensure the lighting and dimming cycles are perfectly synchronized. More than most of us realize, color plays a primary role in creating a comforting environment. That’s why Amrit’s Restful Ritual Bath Butler Service will appoint your room with the colors you consider comforting. Choose your Preferred Pillow—whether it’s light, medium or firm, and natural, hypo-allergenic or another type, so that you achieve optimal sleeping comfort. A selection of pure, restful aromas will be presented to you. Upon choosing one, your bath will be drawn at the perfect temperature and then infused with your selected aroma and the botanicals of your choice, from remineralizing salts to conditioning exotic oils. This magnificent bath will envelop your body, condition your skin and soothe your senses. Upon exiting your bath, you will be wrapped in the warmth of a plush bath sheet and given a sumptuous, 100% cotton Amrit robe. Once nestled in comfort, you may notice the soothing aroma of Amrit’s Relaxing Tea wafting from your mug. And, you will find that the same calming scent from your bath has been infused into your bed linens. Close your eyes, inhale deeply, then exhale completely. Your mind, body and senses let go, and you drift off into the most restful, relaxing sleep. Amrit’s Restful Ritual Bath Butler Service also offers massage, couples massage and foot reflexology treatments. Please inquire for rates and times when scheduling this additional service. Offering the ultimate in luxury beach experiences, Amrit’s team ensures that wellness practices extend to the time you spend in the sun. Amrit’s beautifully appointed cabanas, umbrellas, and chaise lounges are perfectly positioned for your preference—whether it be for the ocean view, the angle of the sun or protection from breezes. Appointed with sumptuously elegant towels for all aquatic activities, wrap yourself in luxury and feel the joy of Amrit’s beachside bliss. Amrit’s team of Sun Angels ensures that you remain protected from the elements by monitoring your hydration and sun exposure. Water and special electrolyte beverages help you maintain healthy body fluid levels. Amrit’s special sun protection products for face, scalp, hair and body keep skin protected so that your day in the sun is filled with fun and ends with perfectly supple skin from head to toe. The soft rocking motion will lull you to sleep, as the gentle ocean breeze sways your cares away. Amrit’s Sun Angels are trained to sway you in ariel rhythm, keeping time with nature’s crashing waves, whispering palms and your deepening breaths. This quiets your body, stills your mind and allows you to let go and relax like nowhere else in the world. Walk the path to wellness—our outdoor Fresh Fitness stations are placed strategically along our walkways and tied in to our Amrit App to capture your fitness activity level. From chin ups to sit ups to planking, it’s fun to work out with Fresh Fitness. Be still and enjoy a moment of solitude, as you contemplate and slip into the quiet places in-between your thoughts. Ambient sounds of waterfalls encourage a sense of peace, breathe deeply and feel refreshed. Light healthy bites, fresh pressed and chilled juices and refreshments are available and served by Amrit’s Beach Side Servers. Select from our Organic Bistro Menu and enjoy breakfast, lunch or healthful canapés served at your chaise or cabana. While wearing your swimwear, experience an outdoor treatment like no other that harnesses the power of the sun to eliminate toxins and impurities. Best of all, you can still enjoy social conversation and amazing ocean views. Begin with an invigorating shower and self-exfoliation. Then step into the sun and inhale the cleansing ocean air. Your Sun Angel will help you choose the best natural clay for your skin type. Slathered in your selected clay, recline and let the warmth of the sun spark a newfound radiance in your skin. Allow the solar-powered warmth to activate the natural properties of these incredible gifts of nature and relax with an Amrit Fresh Pressed Juice. Next, a refreshing outdoor shower cleanses you from the top of your head to your toes. Prefer the surge of the surf? Then a refreshing dip in the ocean will remove all traces of the clay with no harm to the environment. Looking your best poolside is a must-for everyone. Our Sun Angels will ensure that your newly smoothed skin is protected from the elements. 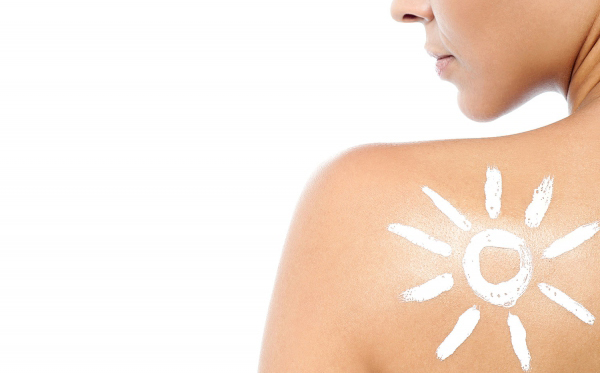 An application of high-quality sun care ensures that a day in the sun leaves you glowing. To complete your beachside look, our Sun Angels will apply a special sun-screen to soothe, smooth and protect hair and scalp with a specific massage of your head, neck and shoulders leaving you groomed, polished, protected and soothed.